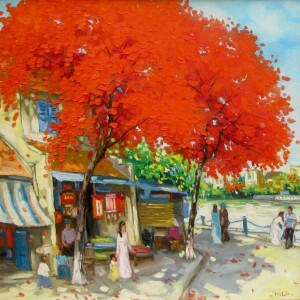 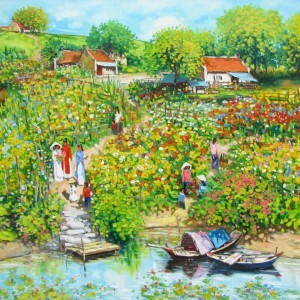 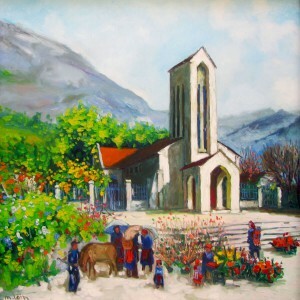 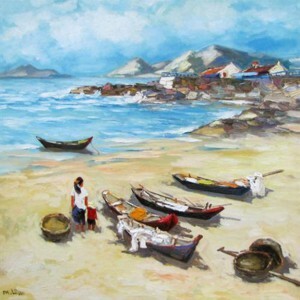 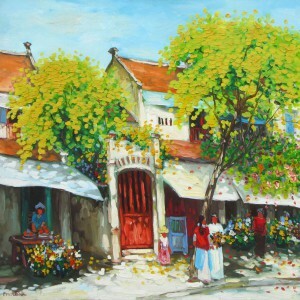 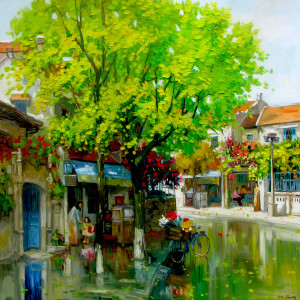 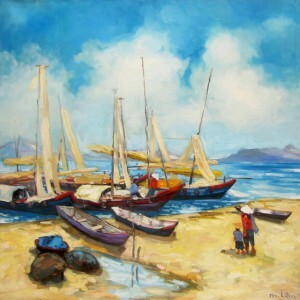 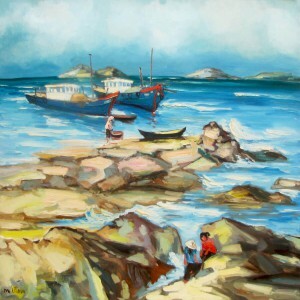 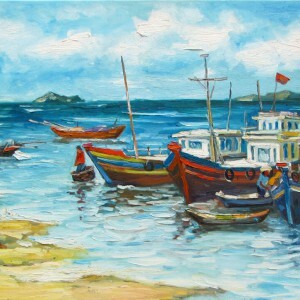 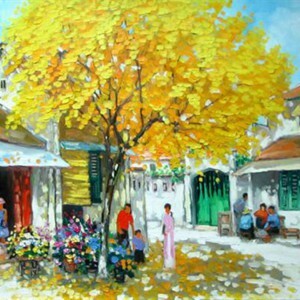 Vibrant colors are central to Asian artist Lam Manh’s art. 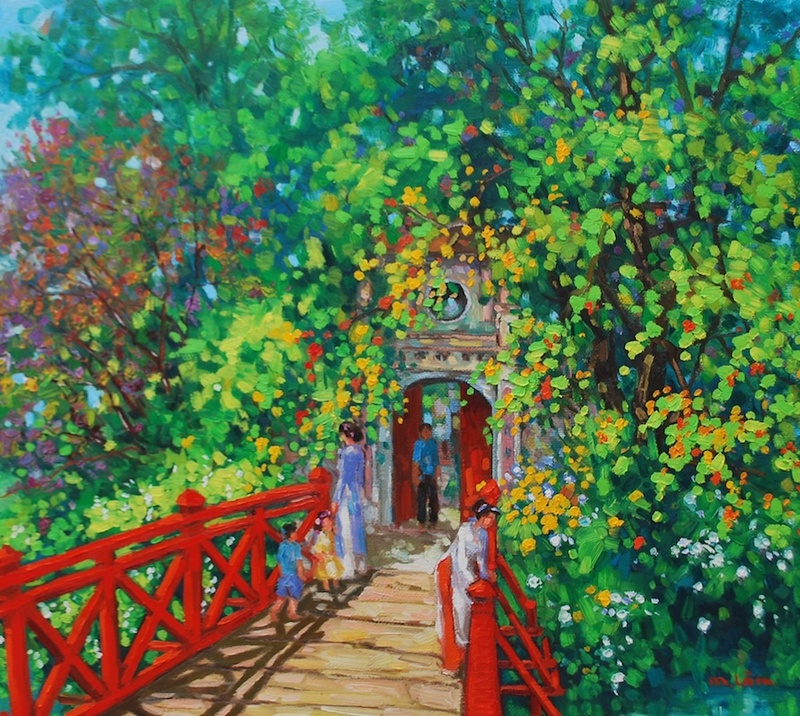 Applying two complementary colors, red and green, he creates a joyful, luminous piece. 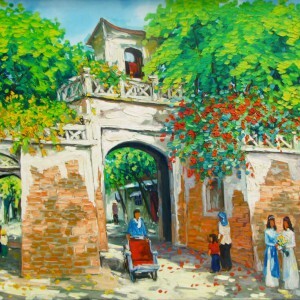 The scene of people walking across the bridge emanates a sense of tranquility, typical of contemporary Vietnam painting while the perspective composition makes the viewer feel like being a part of the painting.